Traditional solutions like anti-virus are no longer effective at protecting systems and data from advanced, ever more sophisticated malware. There are many forces at play that are likely driving this, such as bring-your-own-device (BYOD), the demands of a digital workforce and the ineffectiveness of network layer controls at protecting off-network or unmanaged employee endpoints. To make the problem more complicated, there are literally dozens of endpoint products that claim to solve for the threats that exist today. 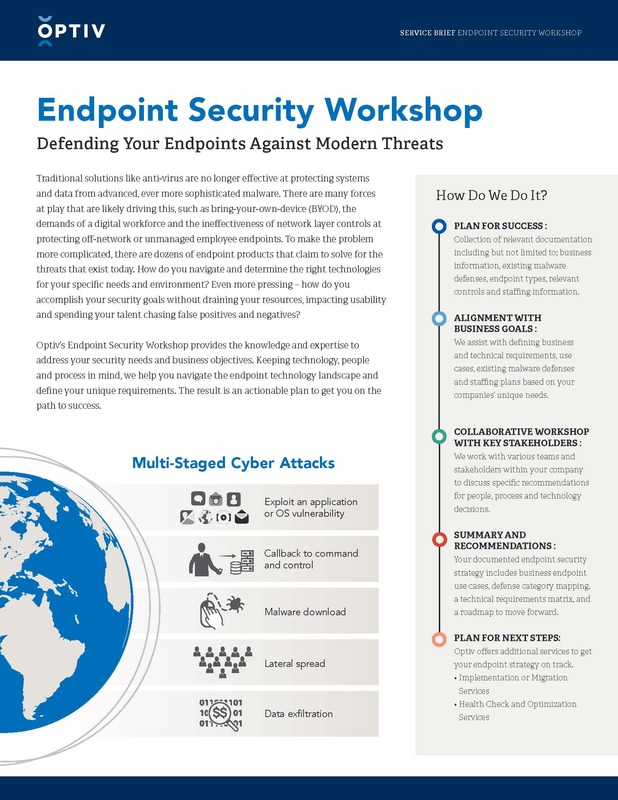 Optiv’s Endpoint Security Workshop provides the knowledge and expertise to address your security needs and business objectives.